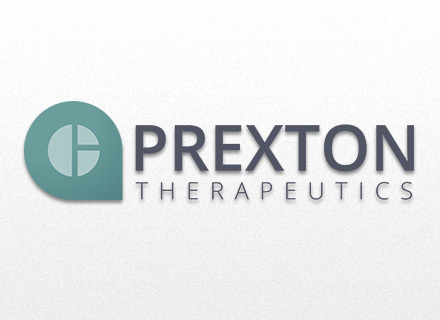 Prexton Therapeutics, a Swiss based startup, attracts venture funding from leading European VC firms to address Parkinson’s disease and other CNS conditions. The company announces the closing of a Series A financing of €8.7 million ($10 million) co-led by Sunstone Capital and Ysios Capital. MS Ventures, the company's founding investor, will also participate. This first funding will help Prexton Therapeutics to develop novel small molecules that target the metabotropic Glutamate Receptor 4 (mGluR4) up to completion of Phase 1. This has the potential to improve motor complications in Parkinson’s disease patients. The compounds were originally licensed from Domain Therapeutics, a French biopharmaceutical R&D company specializing in G protein-coupled receptors (GPCRs). "Our lead compound has demonstrated impressive results in animal models. 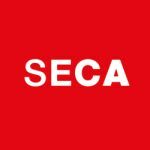 We look forward to advancing this compound up to the clinical stage in the coming year," said Francois Conquet, CEO of Prexton Therapeutics. The Prexton team combines the best research and development expertise in the CNS field. They have collaborated together for many years and each member has a successful background in the pharma industry. "The caliber of the team and their collective scientific and industry expertise will make a huge impact in the development of this new series of molecules for Parkinson’s disease," said Andreas Segerros, Partner at Sunstone Capital. "Prexton Therapeutics is taking a uniquely promising approach to address Parkinson’s disease; a neurodegenerative pathology which still has huge unmet medical needs," said Raúl Martín-Ruiz, Investment Director at Ysios Capital. “Prexton is taking a unique and novel approach to develop treatments for Parkinson’s disease by stimulating a compensatory system that is not impacted by the disease. MS Ventures has been supporting Prexton from its foundation and we are excited about the progress the program has made so far and that we are about to reach clinical stage this year,” said Jasper Bos, Senior Director at MS Ventures. Prexton Therapeutics is a Swiss-based biopharmaceutical company, founded in 2012 by Francois Conquet and MS Ventures as part of the Merck Serono Entrepreneur Partnership Program, a facility to support the creation of spin-offs from Merck Serono. Prexton Therapeutics applies a new scientific approach that fully integrates molecular, behavioural and chemistry technologies to address Parkinson’s disease and other brain disorders. Prexton Therapeutics uses its powerful discovery platform to target specific novel compounds focused on the treatment of Parkinson’s disease.